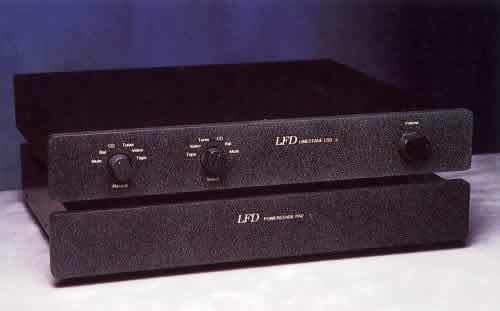 Ever since my review last year of the LFD Mistral pre- and power amplifier, I was haunted by the feeling that I had forgotten something. You see, testing both components together revealed a warm and lush sound. A warm and sweet sound was also what I remembered from the LFD Integrated Zero LE I auditioned many years ago, so it seems safe to assume that this is part of the LFD 'house sound'. Contrary to this, however, there also exist a number of press reviews, by people I tend to trust, stating that LFD electronics sound bright. Hard to reconcile, not? So when finally a chance emerged to set things straight, I put my hands on a PA0 power amp, essentially the same amplifier as the Mistral Powerstage, except for better internal cabling and supply capacitors. I'm happy I did this as now I can put those rumours of excessive brightness to rest: the LFD PA0 is no harsh screamer. But I do think I know what happened with those less than enthusiastic reviews by my colleagues... read on. The power amplifier is fully discrete, built with the absolute minimum of components, with a class AB MOSFET output stage and a bandwidth extending to 160kHz. There are output posts for two sets of cabling, taking bare wire or banana plugs. The circuit uses feedback, and is entirely DC-coupled. There is no coupling capacitor in the signal path, and neither is there a DC servo!!! So beware of preamps with any DC offset! Most of the PA0's box is filled with air, but this with a reason: the amplifier can be custom-ordered with two power transformers and two amplifier boards, effectively giving you four 50W channels in one compact housing. These can then be used for true dual-mono operation, or for passive biamping. Not for AV-use, as there are only two line inputs: left and right. The test version was finished in a fetching speckled-gray corian, named "Black Diamond". Overall build quality was OK, but the power transformer constantly emitted a mechanical buzz at, to me, an inacceptable level. The sample I had was brand new, and even after three weeks of continuous use it still didn't sound as it ought to: it did not even resemble last year's LFD Mistral pre/power combo. Lucid, with a highly-detailed, bright, yet also smooth and polished midrange and treble, yes. But the (detailed and rhythmic) bass was depressed in level, the listener's attention was often drawn to mid and highs. In other words: no mass, no weight, no body to the music. A bit like the Gaincard combined with an unsympathetic loudspeaker. I started sending panicky faxes to LFD's Richard Bews. He pointed at interconnects and speaker cables as the possible culprits: cable matching allegedly is important with his products. Now, as I need a twelve meter run between amplifier and electrostats, doing something in the speaker cable department was a financial no-no (for exactly the same reason I never got to test the Gaincard with its mandatory Stratos cabling). Interconnects then: so far I had been using my standard 50cm short LC-OFC wires between the Michell Argo and the LFD. LFD interconnects being of the solid core variety, I then tried a simple concoction of solid silver-plated assembly wire in Teflon tubes: cost next to nothing, and definitely PC. Damn. Damn. Damn. And again damn it. (Hmm, not quite PC, that.) Warm, almost dull even. Flat. Lifeless. Some more weeks of use as source for background music then. Eventually, and subject to deep doubts and anxiety, we sat down and sampled some Buena Vista Social Club. It sounded pretty good, I found. In fact, my Overlady's opinion was that it sounded pretty damn good. Not only is the LFD very sensitive to cables. It also needs months of running in. Small wonder that other reviewers couldn't come to terms with it. Keep this in mind. OK then, let the review proper begin. Tonally, the PA0 is a bit round, even though it doesn't sound extremely solid or meaty, and there is a certain lack in deep bass fundament (more on that later). The midrange is smooth, and rather well fleshed out: Leonard Cohen sounds like only he can sound, not like a castrate. Likewise, the treble is subtle, beguilingly sweet, but not sirupy so; detailed, but not drawing undue attention to itself. The sounds are not washed out, but neither are overtly colourful: the amplifier shows here simply what the source puts in. As such, the Hawk DAC and my FET phono preamp sounded slightly grey, while the Heart CD6000 tube CD-player and the Dino phonostage had more colour. 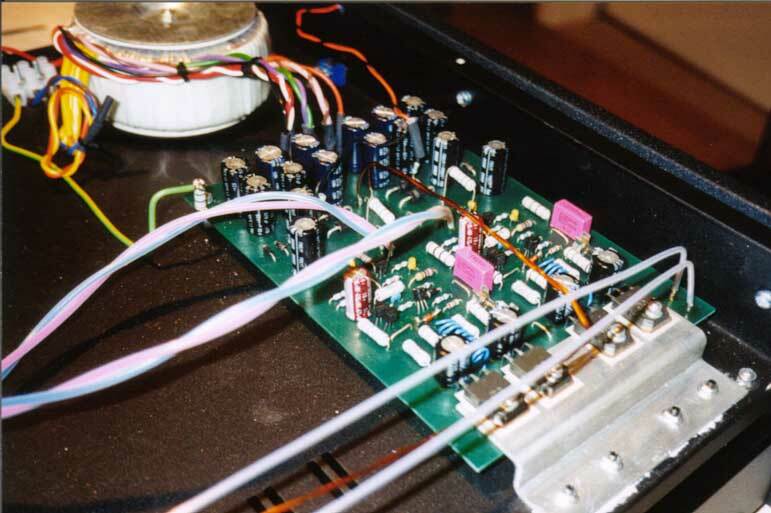 With its small power supply capacitors it would be unreasonable to expect a bassmeister in the PA0. Oh, its lower octaves can carry quite some power, provided things are not too busy down there, and provided the tempo of the music is low, in other words, there is a lot of time between impacts for the amp to recharge. Rapid successions in the bass regions, or sustained energy in the low octaves, like the tapestries of synthesizers underpinning Alice's Il Sole Nella Pioggia (David Sylvian/Japan fans should seek this Jansen/Barbieri production out), drain the amp of its available energy, and the bass loses its slam and power. Mind, it won't grow thin, but do expect a certain lack of drive and articulation then. The quality of the bass, when not taken out, is rather fine though. Compared to my Quad 306 there is more detail, much better pitch differentiation, and as such better following of complex rhythms. Where the Quad produced more and louder blobs of bass, the LFD actually played differentiated bass notes, on genuine bass instruments. And with this gain in transparency (and, not to forget, musical information!) it was not a great loss to find bass drums a bit lighter in mass. You'll expect by now the PA0 to be dynamically a tad polite. It is, and there can be slightly less projection in voices than may be desired. This is indeed not an amplifier for banging head or for full-blast explosions: Mahler and Schwarzenegger need not apply here. But this is an compound effect: my speakers are polite, and my DAC isn't exactly an assertive monster. With the turntable things were considerably better and I found the LFD to be entirely satisfactory in this regard. Timbral accuracy and overall transparency are good with this amplifier, and most certainly of a wholy different level than what I am used to with my faithful Quad 306. Resolution is fine too, clearly showing the limits of CD replay, especially when placed next to the comparatively limitless treble definition of a good moving coil cartridge: we are here a far cry from the cut-and-dried sound of similarly-priced (Japanese) competing power amps. This resolution and general openness were such that previously muddy and opaque recordings, like Achtung Baby or most Heather Nova discs, suddenly got a second life. Speaking of Achtung ... so far the best replay of that masterpiece I've heard was through a Krell/Apogee system. The worst? The same system with Martin Logan Aerii substituted for the Caliper Signatures. And now? Close to the best, but understandably with less bass welly. The soundstage is commendably wide, and quite deep. Focus is good enough, but, again in LFD tradition, a bit soft. This presentation is more 'natural' than 'hi-fi' and makes for easy dreaming away into the music. It took me a lot of time to characterize this PA0. I am convinced that this is partly caused by its dependency on the type and tempo of music played, and the influence this holds over the power supply. In addition, this power amplifier kept changing its character over the first two months of use and it literally dawned on me only at the time of writing this that the PA0 actually has the basics of a very good amplifier in it, if you pardon it its few shortcomings. I hope to keep the PA0 for some more time, and may try to use it with quality conventional speakers that traditionally seem to go well with LFD, such as Castle, ATC, or ProAc. Not a clear-cut case, the PA0 is a relaxed, sweet and refined sonic impressionist that often gives you a glimpse of musical truth, which is rare in a cheap transistor power amp. It is not a power house, but then, it is clearly not meant to be one.